The enigmatic wolf band “MAN WITH A MISSION” – just who are this mysterious bunch? Head of a wolf, body of human. 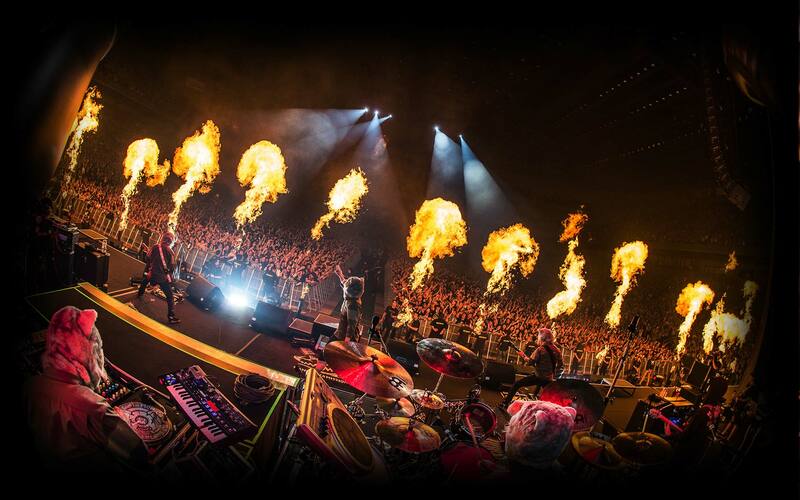 “MAN WITH A MISSION” (MWAM) are a pack of 5 wolves that strike hard with their fusion of dance and rock – they are firestarters during their shows, working everyone into an enthusiastic frenzy with their heavy/pop sound. Since their inception in 2010, their quick rise in popularity as band is no doubt known by all. But just who are this hungry pack? Did you know that the wolf band were formed officially? MWAM made their major debut in 2011. They are currently part of the record label Sony Music Records. The band are also contracted to the major label Epic Records, so they carry out tours both inside and outside Japan. None of the members’ personal information is known publicly, so they maintain a mystery to everyone. However, one important point is that it is not “headgear” they are wearing. In the year 19XX, those in political power scrambled for wealth and status while the earth was wrapped in firey wars. Meanwhile, in the farthest reaches of the earth, an Electric Ladyland biologist by the name of Professor Jimi Hendrix had developed the ultimate lifeforms. With their superhuman intelligence and bodies, the lifeforms moved secretly in the shadows of history against the world’s political powers. Professor Jimi was very aware of the crime he had committed and so imprisoned the lifeforms inside a glacier in Antarctica. So that nobody could lay a finger on them. While they were frozen, the lifeforms were able to hear the world’s music with their enhanced sense of hearing. As time passed, their ice coffin began to melt as a result of global warming, and so MWAM rose from their eternal sleep! This is the publicised story of how MWAM came to be. Just like a sci-fi movie, they have the story of their background in place. Their words in liner notes and interviews are nothing out of the ordinary. “Feed us meat! Nom nom!”, they bark. This can definitely be seen as an element of the band that people really enjoy. Let’s take a look at each of the 5 member’s distinct facial characteristics. The front wolf with his tongue sticking out to the left is vocalist Tokyo Tanaka. He is the band leader. The wolf with his mouth wide open is drummer Spear Rib. The one with his bottom lip and jaw protruding from his mouth is the band’s guitarist, vocalist and rapper Jean-Ken Johnny. He’s also in charge of the MC sections during their live shows. The wolf with his tongue drooping out the right side of his mouth is the DJ and sampler DJ Santa Monica. And finally, the aggressive looking wolf is Kamikaze Boy, who is in charge of the bass and chorus. There was no doubt some of who you thought they were all the same, right? In fact, the members are all different in some way. For example, Jean-Ken Jonny’s favourite thing is chicken katsu, while Kamikaze Boy’s is tequila. After the formation of MWAM they quickly went on to make their major debut before playing a hugely successful show at the legendary Nippon Budokan in 2013. They have also performed one-man live shows at Yokohama Arena, Makuhari Messe and Saitama Super Arena, all of which sold out completely. They play a diverse range of songs all of which get the crowd going during a live show, from tracks you can dance along to, to emotional numbers. Let’s take a look at their album on which these songs are included. Their major debut first album “MAN WITH A MISSION”, which was released in June 2011, includes familiar tracks played at live shows such as “DANCE EVERYBODY” and “FLY AGAIN”. Their second album “MASH UP THE WORLD”, released in July 2012, placed at number 5 on a CD shop prize ranking. They also made an all-America debut and released an all-English lyric compilation album titled “Beef Chicken Pork” in February 2014. The band celebrated their 5-year anniversary last year with the released of their best-of album “5 Years 5 Wolves 5 Souls”. Moreover, they released their all-new album “The World’s On Fire” this year on Wednesday February 10th. It’s being called the band’s masterpiece record by many people. MWAM wrapped up their Japan nationwide tour “The World’s On Fire Tour 2016” earlier this month on May 18th, but they have announced some additional performances. From July this year, the band will be touring Asia, beginning with Singapore. 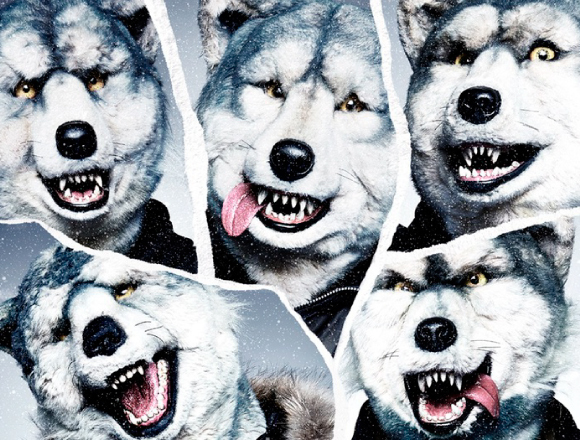 MAN WITH A MISSION are a band who see no limitations and continue to push themselves. For those of you who have not yet gotten your hands on the album, we highly recommend that you give it a listen. Keep an eye out for the band’s next mission. Related Article: Experience Japan first-hand worldwide with these upcoming overseas Japanese events & concerts!